Thank You Clip Art is available here. Great images, include them in your own designs. No signup, instant download! 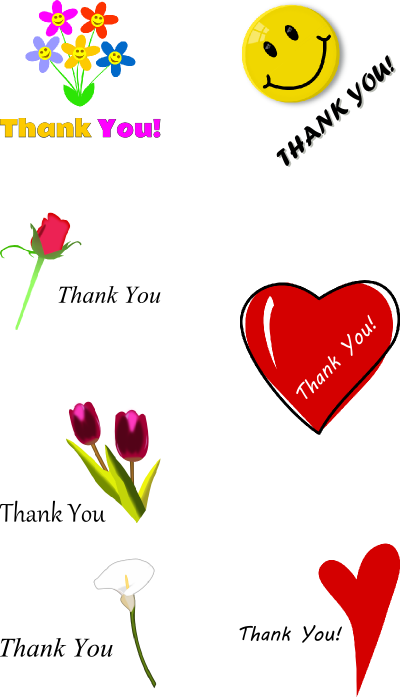 Here is a sample of some of the Thank You clip art images you will find on this site. Click the image or click here to go directly to the Thank You clip art page. Would you like to suggest other clip art images you would like, or variations of the Thank You Clip Art. Please click here to request clip art you want to see. This entry was posted in Clip Art and tagged clip art, clipart, free clip art, Thank You by dazblog28. Bookmark the permalink.